Visualize a with just a few extra words added to your name as the buyer. This would look something like this: "Buyer: John J. Doe, and/or assigns." That's it. Seems simple, and it is. But, it opens up many opportunities for profits in . The "assigns" would be anyone that you want to pass your purchase rights along to. You have effectively locked up a property with a purchase contract. You can now go ahead and buy it, flip it, rehab and rent it, or any other strategy that's legal. But, you can also pass it along to someone else for profit, never buying it yourself. You're not just passing your purchase rights along. You're also passing along your obligations in the contract. This means that you are no longer involved in the transaction at all. You do not have to perform and buy the property, nor do you have any rights to make claims against the seller if there are problems with the deal moving forward. The person or company to whom you've assigned the deal to is now responsible for taking the deal through to closing. As you probably won't be getting paid your fee or profit until closing, it can make you nervous waiting for the deal to close. The simplest way to profit in this situation is to simply locate one or more buyers in your , show them the value in the deal, and take a referral or "bird-dog" fee for bringing the deal to them. You assign your rights to the deal, and they go forward to closing, paying you your fee after or at closing. You profit handsomely, though you only had whatever deposit to lock up the contract at risk. By knowing who your buyers are likely to be before you contract the property, that risk is very low if the value is there. You build and maintain an active investor buyer list for your customer pool. This is crucial, as you really want to be sure you have a ready buyer or two for a home before you commit earnest money. Doing a good job of , you should be covered pretty well. This list will include both fix & flip and rental property investors with interests in buying depending on the condition of the property. Rental investors normally want a house ready for occupancy, or at least with only cosmetic or minor repairs necessary. You can also take on the purchase, immediately selling the property to another investor or a retail buyer. You would probably take this approach because your profits would be higher. After the mortgage crisis in 2007 and after, you can no longer use the to close on another in simultaneous closings. The lenders just won't allow it. However, you can explore resources for short-term funding, maybe a relative, your own cash, or a hard money lender. You only need the money long enough to close the purchase and then the sale. This can be hours, but never more than a day or two. What is your role here, and how are you adding value? Simply, you have perfected your techniques and can locate really great deep discount real estate deals with others, your buyers, ever know about them. 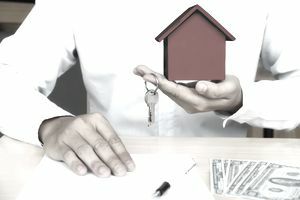 There are many ways to get to a good deal early, and your value to your buyer customer is that you've got the property in your control, so they'll only get it if you pass it along. You have two tasks to hone to make this work well for you. First, have a really good buyer database, with information about what each is looking for. Second, you learn and put into play strategies to locate great property deals before their general knowledge. If you get these two things in line and operating for you, using real estate assignment contracts can be your ticket to with little of your own money at risk.